Five Top Punjabi Dishes – The food of Punjab packs a blast of exotic flavour in every bite. Even though it is known as the bread basket of India, we get so much more than just that in their cuisine. One of the most impressive things about Punjabi food is its variety which is rich, robust and full of life. Here are the five top Punjabi dishes from the land of Punjab which are going to leave you coming back for more owing to their bold textures and hearty ingredients. 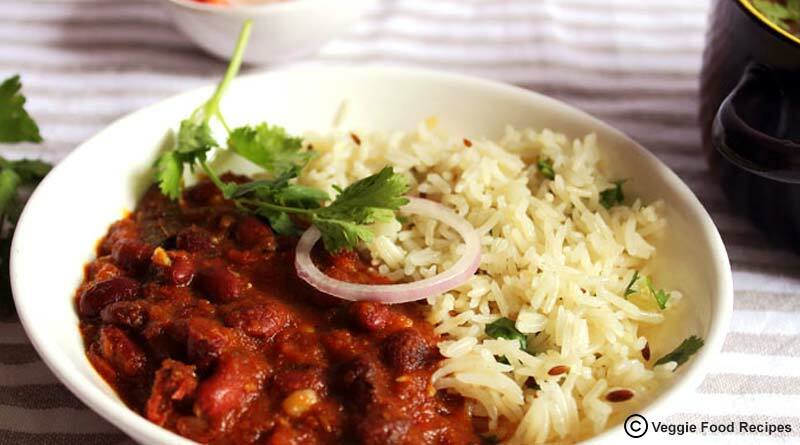 One of the oldest and most traditional dishes of Punjab, Rajma chawalis a cult favourite among all North Indians. Featuring red beans paired with plain or jeera rice, Rajma rice is a staple food of Punjabis that is sumptuously eaten at any occasion and in any weather.Prepared with lentils the Rajmais cooked with a mix of spices and aromatic ingredients to bring about a delicious taste. Long grain rice are succinctly cooked to a perfect boil with a mix of cardamom, cloves, curry leaves and biryani powder to serve as the perfect side dish to the Rajma. 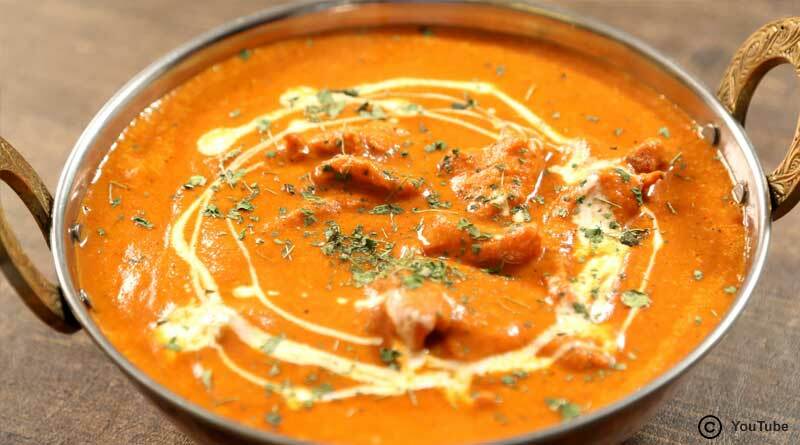 How can we make a list of the best Punjabi dishes and not include the king of the dishes of the state Butter Chicken in it. One of the best dishes of Punjab, butter chicken has made its name not only all over India but also internationally as one of the best non-vegetarian dishes.Cooked in a succulent tomato gravy filled with desi ghee or butter the dish is made sensational using tadka ingredients which include fried onion, garlic, hara pudina (peppermint), hari mirch), zeera, fenugreek seeds and mustard seeds. 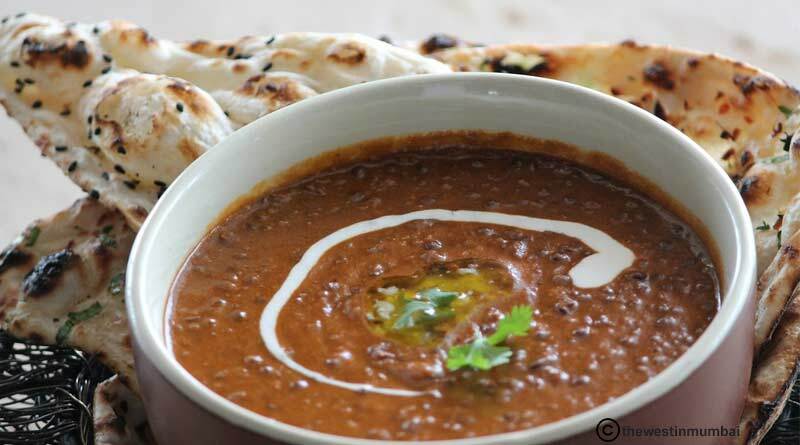 One of the most eaten dishes today among North Indians, DalMakhani rules the pot of vegetarian dishes in India. Not only is it known for its mouth-watering flavours but also for its high nutritional value which makes it the perfect combination of a healthy meal filled with proteins. Accompanied by piping hot naans straight from the tandoor or paranthes dripping with butter, this black lentil preparation is sure to explode your taste buds. 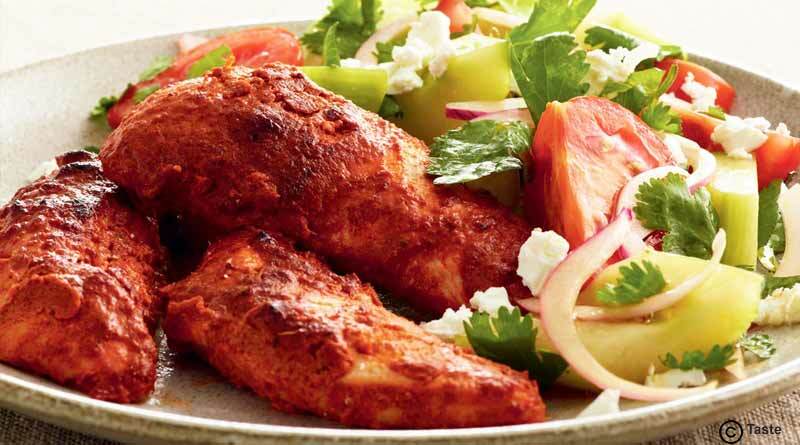 Featuring a fiery red color, this dish packed with unique flavours is grilled slowly and steadily under extreme temperature lined with butter to ensure that every flavour infuses till the bone of the meat.A luscious dish roasted and served with onions, ginger, green chillies and lemon, tandoori chicken is one of the best snacks of Punjab. Visit Surjit Chicken House & Beera Chicken House, Papaji Dhaba and Moti Mahal to taste some of the best tandoori chicken in the country. 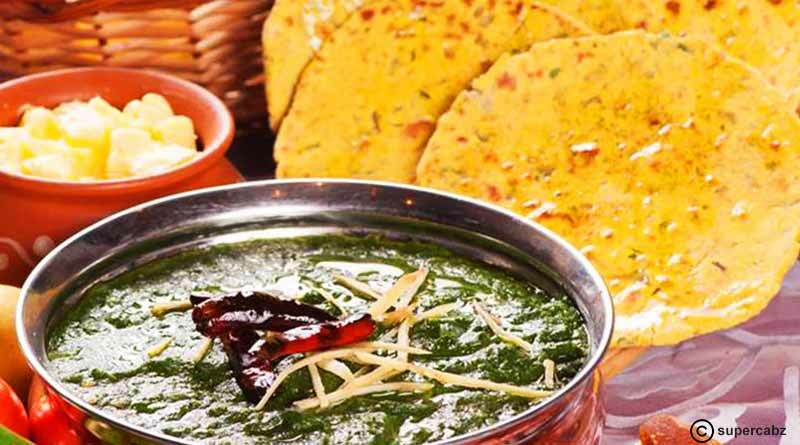 The best dish in winters, the amazing combination of sarson ka saag and makki ki roti makes it one of the most popular Punjabi vegetarian dishes. It is a preparation of green mustard leaves that is best savoured with Makki ki roti.Along with mustard leaves, spinach is also added which further enhances the nutritional value and taste of saag. 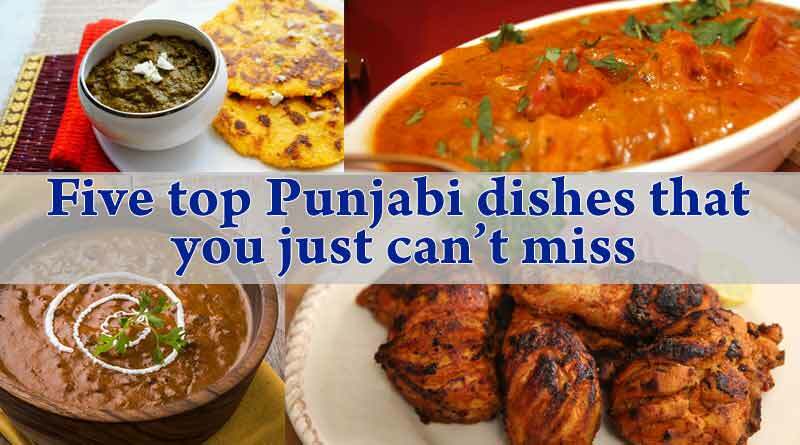 For booking and know more about Five Top Punjabi Dishes click book now button.